Jeremy Irons was on hand at Maison Assouline in Piccadilly, London, on Thursday 23 February 2017, for the London launch of the book Venetian Chic, by Francesca Bortolotto Possati. Jeremy wrote the foreword to the book. 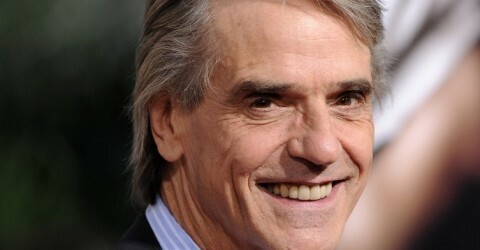 Jeremy Irons attended the book launch for “Celebrate in Venice” on 6 March 2013 in London. The newly released ‘Celebrate in Venice,’ featuring conversation, recipes and photographs centered around traditional Venetian food, is a delectable contribution to the lifestyle and cookery bookshelves. Authors Csaba dalla Zorza and Francesca Bortolotto Possati couldn’t be better placed to have written this journey through Venetian cuisine. As CEO of The BAUERs hotel collection, Francesca is at the helm of this Venice hotel group, who play an unrivalled role in interpreting the Venetian art of hospitality. Francesca accompanies the authoress in a wine and food tour set in the Lagoon that reveals the extraordinary nature of the city’s day-to-day life. From the fish market to the fruit market in the heart of Rialto, the head of the Bauer Group also opens the doors of her own home to readers, sharing the secrets of the Venetian lifestyle. Csaba della Zorza and Francesca Bortolotto Possato themselves go over the memories of their infancy, inviting their readers to use food to celebrate both the small and great occasions of life by preparing simple but striking dishes while paying attention to the slightest detail. “When I saw the Olympic I felt at home.” No, talking is not a Vicenza, but a great British actor of cinema and theater. 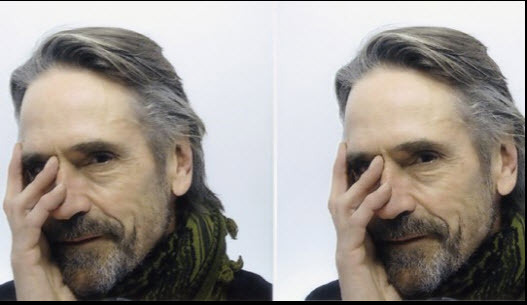 Jeremy Irons, who landed in Vicenza yesterday afternoon to attend the seventh edition of the Premio Eti, introduced himself as the press in the meeting held in the afternoon to the Councilor. The English, who received the special award “for his extraordinary ability to combine screen and stage, with equal passion and rigor, and in particular for the interpretation of the character of Antonio in the movie “The Merchant of Venice”, was literally fascinated by the theater. A masterpiece in his life had not ever seen, and that once fell from the car in Piazza Matteotti, and slingshots you to visit. What did it feel when you entered? The first thing I saw was the door with the wooden structure. Then we went for a ramp and suddenly I found myself inside. It is built with a mix that makes him seem a romantic place of work but also a laboratory for ideas. Came to mind looking at other theaters? I immediately thought of the Royal Theater in Bristol, the building where I started and I conveyed the same feeling of Olympus, despite the Royal is a more recent. The spirit of what happened inside the impregnating and that is the beauty you feel the sensation of living. If this theater was used as a museum, would not have had the same fascination. Yet today I felt right at home. It will then climb an emotion even though for an awards ceremony? Yes, and I regret not being there to play, even if they are happy to play a few bars of the Merchant of Venice. If he had to be on this stage his show, which character would have liked to play? I do not know, because there are different. I could say Prospero, however, I do not speak Italian, and when you go to the theater is important to understand what the actor says. She is a great actor as well as film and theater even in these days in Venice is taking the international exhibition. Took the opportunity to visit? No, usually attend the festival only if there are my films in the race. I went to see only the Arsenal, and they told me that the film festival in Venice was a bit ‘disappointing this year. You know very well the lagoon city. Can you say what are the differences between the Venice film and the real one? I am fascinated by this city and I really enjoy talking to people who live there, which is why I consider it alive and real. Certainly, compared to film is no longer a business empire but is the center of tourism. In addition to acting also approached the role of director. Yes, over the years my interest has increased. I love to be involved fully in the film and the director is always at the center. I also really like helping others to achieve their performance.